I have to admit when I heard the title for “The Adventures of Tintin: The Secret of the Unicorn,” I wasn’t overly optimistic for the movie. It sounded like something that was going straight to DVD. However, my interest piqued when I started seeing who was being cast in it and, finally, it all came to a head when I saw that Steven Moffat and Edgar Wright were two of the writers. 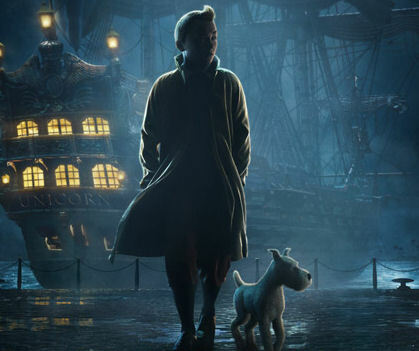 From the teaser trailer below, it looks like they want everybody else to forget about the full name (the title shot just says “The Adventures of Tintin”) and focus on the decent-looking story — which is adapted from Belgium comics. Combining the stories of The Crab with the Golden Claws, The Secret of the Unicorn and Red Rackham’s Treasure, the film depicts Tintin’s (Jamie Bell) first encounter with Captain Haddock (Andy Serkis) and the discovery of a clue to the treasure of his ancestor Sir Francis Haddock. They set out to find it with protection from a prison escapee who tried to get the treasure as well as Detectives Thompson and Thomson (Simon Pegg and Nick Frost). There isn’t a single person who I’m not excited to see in this film. I almost wish they would have forgone the animation all together just so I can see the actors act everything out. Add Peter Jackson’s producing credit and some great British writers and I’ve almost got my ticket purchased already. However, besides all of that, it is great to see a a movie that is aimed for kids that isn’t a kids movie. The trailer featured no idiotic talking animals, the colors weren’t overly bright, and I couldn’t figure out the moral from just the trailer. “The Adventures of Tintin: The Secret of the Unicorn” will open in theatres on Dec. 23 and stars Jamie Bell, Andy Serkis and Daniel Craig. ← Will a ‘Wanted’ Sequel Move Ahead Without Angelina Jolie?